The 11th EBP meeting took place in Barcelona on November 13-14th 2017. This has been the meeting with the highest participation so far, with 30 persons from 16 different countries having attended. 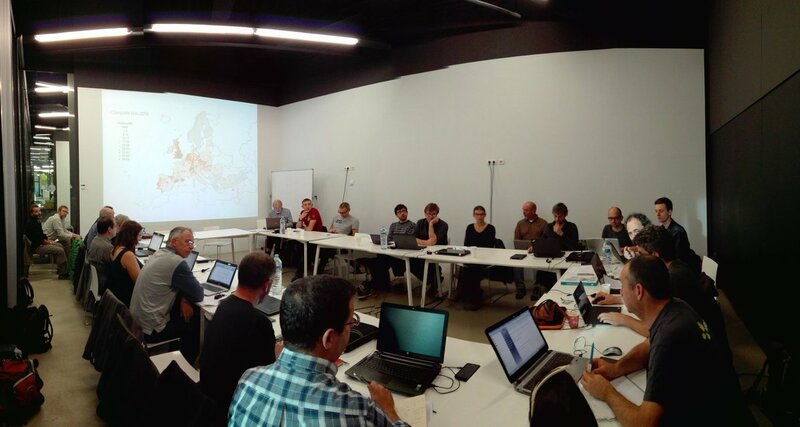 The main topics discussed in the meeting included the new version of the EBP viewer, the estate of the Best Practices Guide, the progress of the LIFE EBP project and the role of the SMOG (Spatial Modelling Group of the EBCC) in the EBP modelling approach. Chair EBP Steering Committee: Gabriel Gargallo. Members EBP Executive Committee: Stephen Bailie, Ruud Foppen, Carlos Godhino, Károly Nagy, Jean-Yves Paquet, Hans Schmid and Peter Uppstu. Some figures presented in the meeting highlighted the good progress of the project in terms of data quality. Complete lists have increased by c. 25% annually since 2010 and countries such as France doubled the number of lists from 2015 to 2016!